LINXX BUCKLE - Is the new INNOVATIVE EFFORTLESS SOLUTION. Just lift the buckle and pull to obtain a smooth and inaudible release! Extremely easy to use! Slide in belt to tighten and the belt auto locks - simple smooth and sleek. NO MORE HOLES - Marino's Fashion Ratchet Belt provides 38 unique adjustments for a superb comfortable fit. Easy removable buckle allows you to cut the belt to your ideal size to give a primmer and custom tailored appearance! MAXIMUM DURABILITY - Leather strap is a bit wider than 11/8" presenting the perfect look of a fine, genuine leather quality belt, complemented with an HIGHLY FASHIONABLE stylish, buckle that is elegantly designed with class. Scratch resistant buckles made to last. 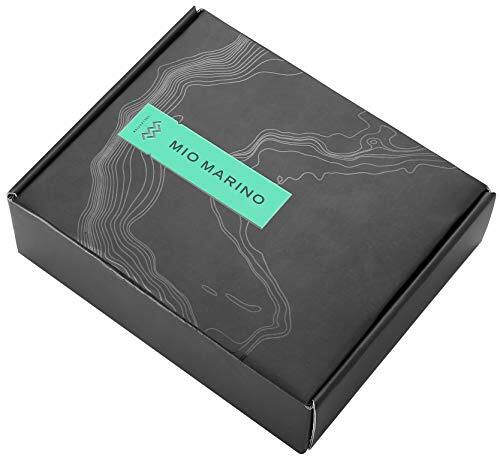 GIFT BOX - Make a big impression! Enclosed in a lovely, attractive gift box. 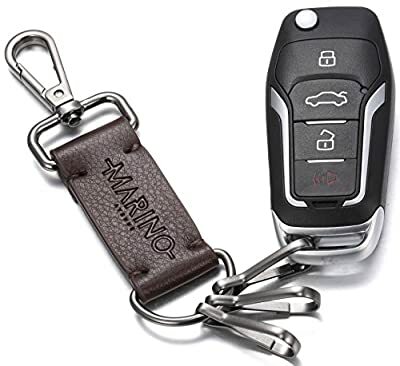 Special bonus leather key chain included! ORDER WITH GRACE - 100% satisfaction guaranteed, 45 days free exchange and returns, plus 180 days warranty.